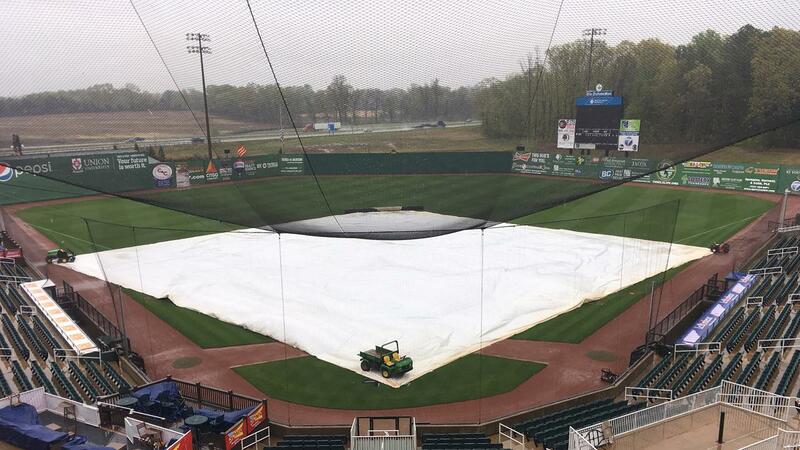 Jackson, Tenn. - The Jackson Generals, the Double-A affiliate of Major League Baseball's Arizona Diamondbacks, postponed Saturday's scheduled game against the Chattanooga Lookouts due to inclement weather. The Generals (3-5) and Lookouts (4-3) will make up the game by playing a double-header on Sunday, April 14 beginning at 2:05pm CT. Regulation length for both games of the double-header will be seven innings. Promotions that were previously scheduled for Saturday's postponed game will be moved to a later date in the season. The Generals' planned celebration of their 2018 Southern League championship, billed as "All-We-Do-Is-Win Night," will be rescheduled for Friday, May 10. Advance Financial 24-7 will be the official sponsor of that night's 6:05pm CT game against the Birmingham Barons, and the Generals will welcome Arise to Read as their Pay-It-Forward Friday community partner for that evening. Replicas of the Generals' 2018 Southern League championship rings will be given away on May 10 to the first 1,000 fans to arrive ahead of the game. The rings will be sponsored by Elite Contractors and ABC Supply Co.
Tickets for the postponed April 13 game can be exchanged for future games in accordance with the Generals' ticket exchange policy. Pitching matchups for tomorrow's double-header are listed below. The Generals trail the Lookouts 2-1 in their current five-game series. …featuring Super Hero Night (Saturday, April 27)!